Downtown Claremore is a little brighter and bolder, thanks to a larger-than-life mural on the North Block Common, 115 N. Missouri Ave. The mural is part of Claremore Main Street’s Alley Activation 2025 project. Public surveys earlier this year resulted in the No. 1 takeaway being that Claremore residents wanted more public art. 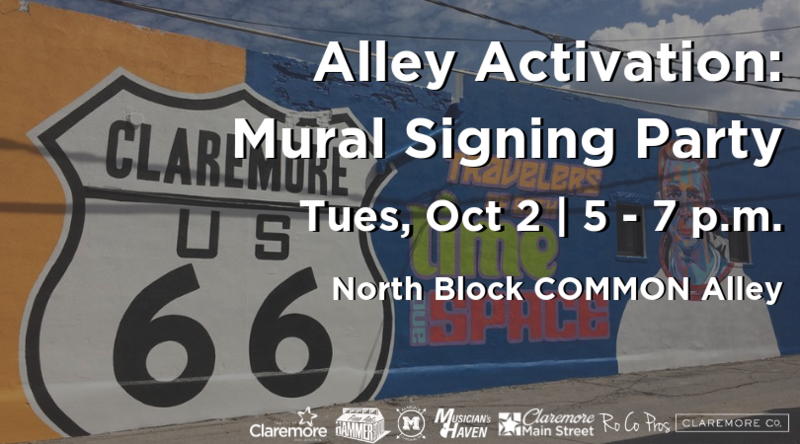 Alley Activation 2025 was born from a Claremore Main Street committee and with the support from the City of Claremore, partnerships with Spectrum Paint and The Hammer Studio, the first piece of alley revitalization and our first public art piece in four years, has been possible. We were proud to have enlisted the artistic ability of Claremore’s own John Hammer, of Hammer Studio to be the artist. 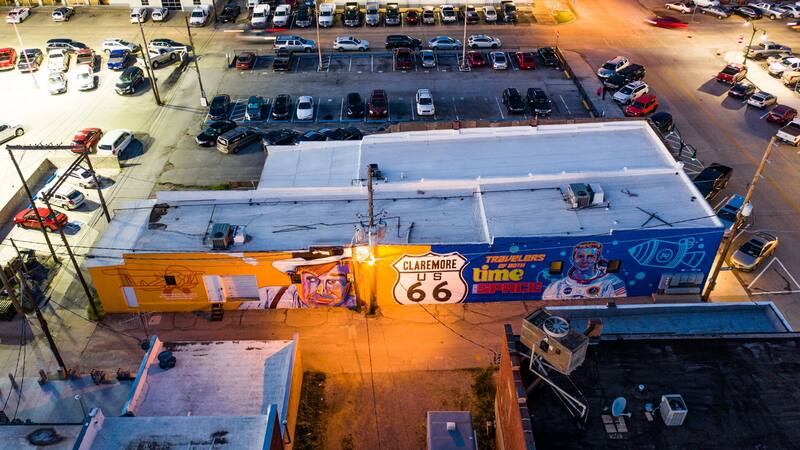 The Mural is centered around Claremore Astronaut Stuart Roosa, Claremore’s favorite son Will Rogers, and of course a large Route 66 road sign. On Oct. 2, a community party in the alley will take place from 5-7 p.m. where the artist will sign his artwork, officially completing the 2,700-square-foot piece. There will be food, beverages, live music and a fun atmosphere!